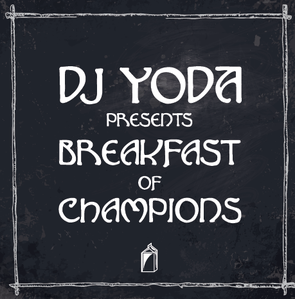 DJ Yoda recently announced details for his new album, ‘Breakfast Of Champions’, released on 9 March 9 through Kartel/Believe Digital. 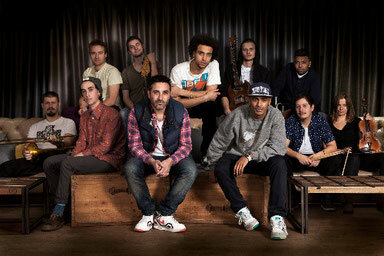 Curated and produced by DJ Yoda, the album features an 11-strong collective of UK MCs and musicians, including Rex Domino and Mouse Outfit members Sparkz & Truthos Mufasa. The record will be trailed by a new single ‘The Baddest’, which is due out on 16 March, ahead of an audio-visual headline tour through March, kicking off at Manchester’s Band On The Wall on 13 March and including London’s The Forum on 14 March. Energised by the wealth of collaborators (including Action Bronson, Boy George & Roots Manuva) for his acclaimed second artist album, 2012’s ‘Chop Suey’, Duncan Beiny aka DJ Yoda, elected for his next project to look in the opposite direction - towards upcoming artists of the UK scene, assembling the ‘Breakfast Of Champions’ cast from a possible Who’s Who of hip-hop’s next wave. The genesis of this collective spans back to a residency slot offered to Yoda by Manchester’s Band on The Wall venue, an invitation which manifested itself in an open call from the DJ to emerging MCs, musicians and animators to join a live band personally curated by Yoda. Several hundred YouTube submissions later, Yoda’s line-up was completed, with the group appearing at Band on The Wall for a live debut which sold out upfront, minus any promotional muscle. It was a trick the band later replicated in London when their Jazz Café headline likewise sold-out nigh on a month upfront. Yoda made history last year with the first ever audio-visual mix for BBC Radio 6 Music - making waves around the globe, it secured him both a Sony Radio Academy Award nomination and a 6 Mix residency which has seen him become part of 6Music’s DJ team alongside Andrew Weatherall and Erol Alkan. I do not even know the way I ended up here, however I assumed this submit used to be good. I don't recognise who you might be however certainly you're going to a well-known blogger in the event you aren't already. Cheers!